What is it about the flat out focused aggression World Cup athletes channel into a brilliant display of speed, control, and style that turns all of us on? To us, it's the understanding of just how much sacrifice and commitment a rider invests to build to this level only to put it all on the line in the pursuit of that top podium spot. It always looks breathtaking on those race weekends, but the true work is put in behind the scenes and that dedication, focus, and hard work is the essence of World Cup pedigree and our work ethic as a brand. For us there is no better input than that of an athlete and this has been a fundamental key to our success, drive, inspiration, and motivation. 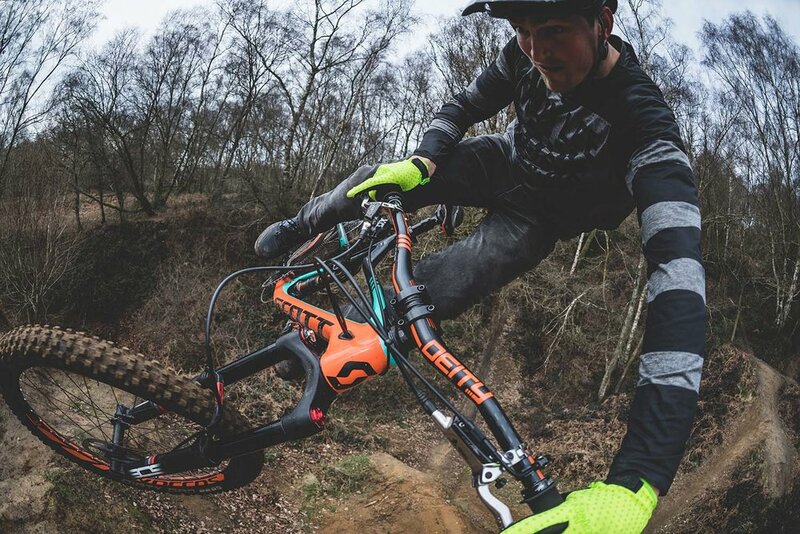 We'll never forget the first time we saw Brendan Fairclough on a bike... he was loose on two wheels, daring in line choice, ruthlessly fast, a young face that would eventually redefine style, and with his every move… he clearly loved every second on a bike. He exemplified speed and style to us and defined our desire to reflect these inspirations and discoveries into everything we do. This project is exactly why athlete collaborations are so exciting and fulfilling for us and that rider-centric mentality is what has always separated us from so many brands. Our goal was to take Brendan's vision and develop a signature product worthy of his accolades and brilliant style. Every detail of his signature DEITY handlebar is a reflection of him on the bike. Brendan's ability to feel the slightest changes in bend, sweep, deflection and compliance are unparalleled and that awareness of equipment is priceless and critical when riding at this level. His expectations and focus throughout this process led us to create his dream handlebar that is stunning from the outside and technically refined internally. 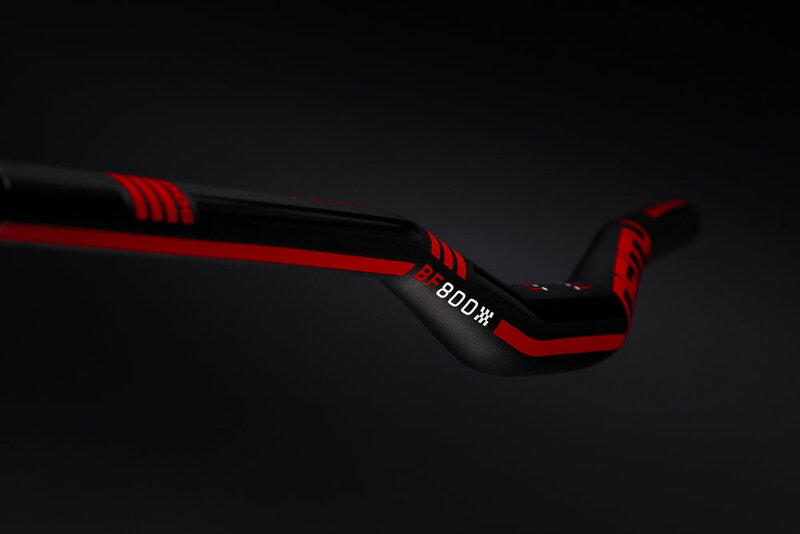 After more than two years of exhausting all options and scrutinizing every aspect of this handlebar by punishing it in the lab, the real world, and on the World Cup circuit… we've outdone ourselves again! 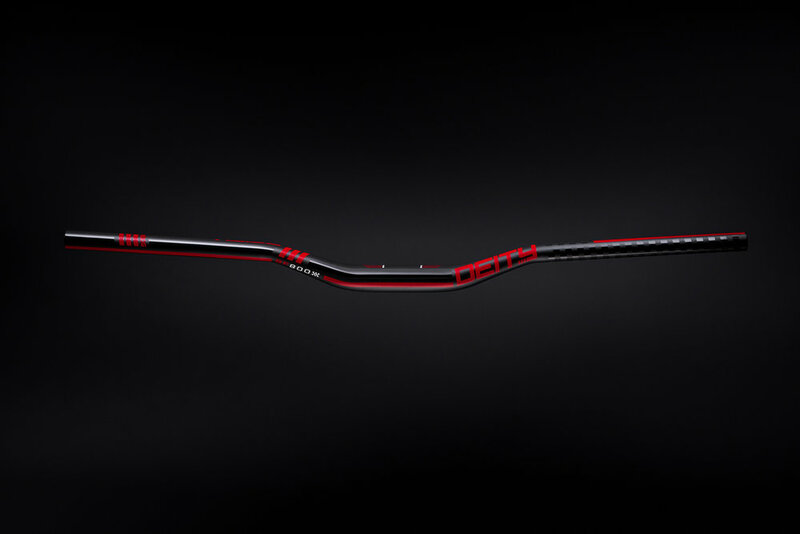 With an 8 degree backsweep and 5 degree upsweep, we continue to broaden our range of options to fit every rider. 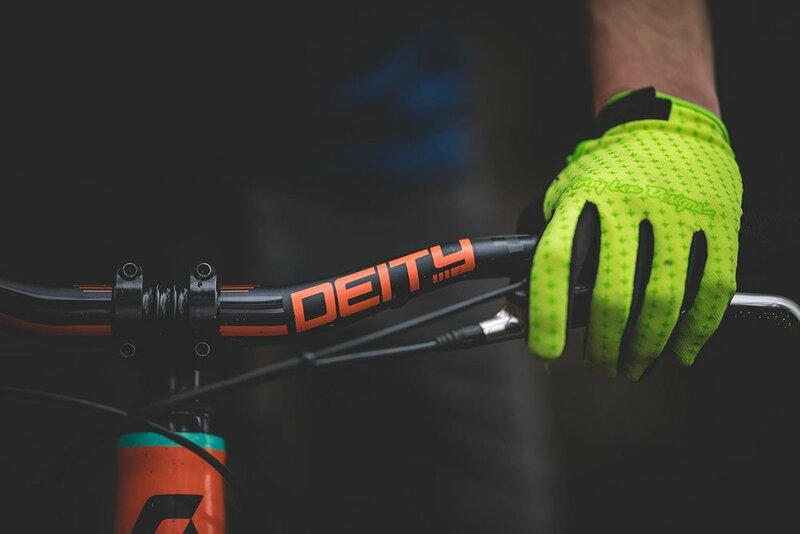 The BF800 BRENDOG utilizes our proprietary Gradient Butting Technology for the optimal balance between responsive handling and the compliant feel you've come to expect from our collection of DEITY handlebars. 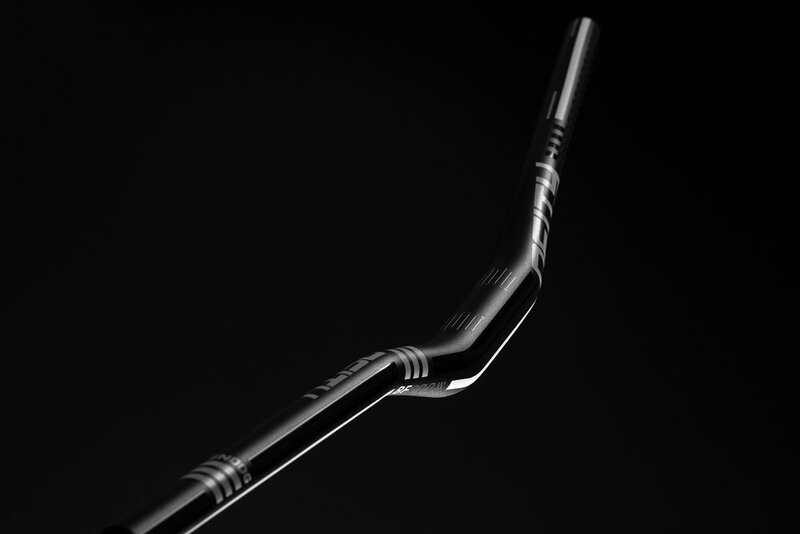 With uncompromising strength due to our unique approach to heat treatment with our Mono Heat Treatment Procedure, we are able to deliver a 20% increase in strength in all of our aluminum handlebars over standard processes to maximize your investment in our product and your confidence in your equipment! 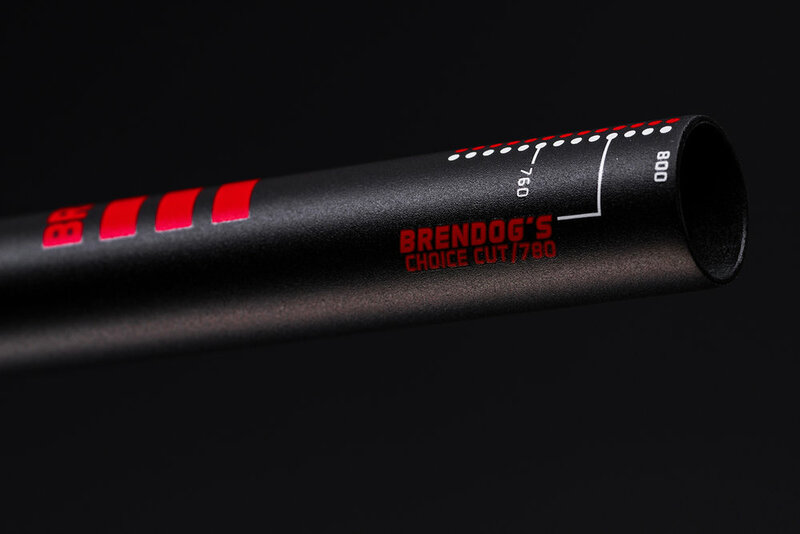 Featuring a 30mm rise to tackle steep terrain and at an 800mm width, the BF800 BRENDOG signature handlebar transfers more power and control to the bike with the widest 31.8mm center bore on the market. From the Alignment Markers to properly space your controls, we wrap it all up with incredibly detailed finishes like our signature two-tone ano for superior durability and unmatched styling. To us, it is all about the details. The details you may see in front of you and the countless ones that are hidden in the development of the product, the design characteristics that give life to metal, the manufacturing processes that separate us from the rest, and the voice of one of the greatest riders to touch a bike, Brendan Fairclough. 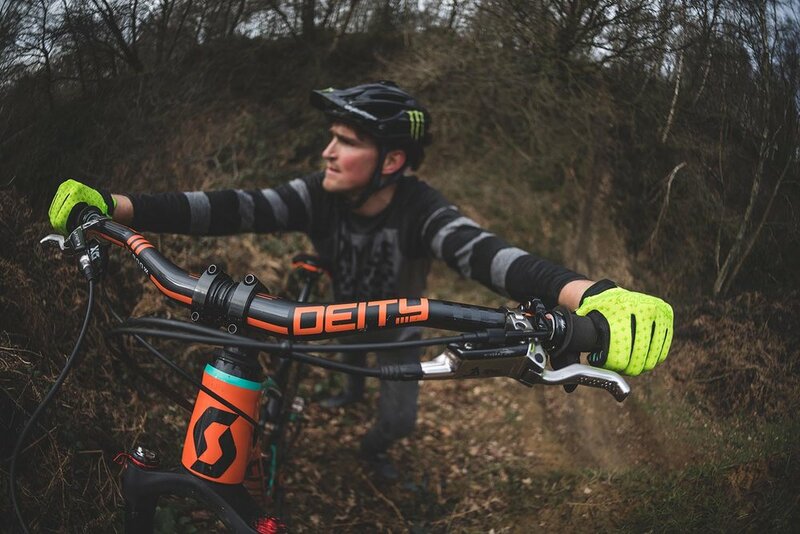 In the end our riders and customers will tell you time and time again, DEITY does it very differently and it shows. You feel our patience and precision in every product we offer and we will continue to put quality over quantity. How do you put a value on time and passion? For DEITY, the reward is in the experience and this drives everything we do.